 TSC is an Independent telephone company that has been serving Wapakoneta, Cridersville and surrounding areas with phone service since 1895. In 1995 TSC became an Internet Service Provider(ISP) in the Northwest Ohio area when we helped establish bright.net Ohio LLC. By 1998, we began offering Cable Television service along with BrightLightning broadband cable modem service. In 2003, we made history by expanding all of our offerings into the City of St. Marys, Ohio. We are dedicated to bringing our customers state-of-the-art technology and services with a hometown flare for individual customer care. Active members of local organizations such as the Better Business Bureau, the Wapakoneta Area Chamber of Commerce, the St. Marys Area Chamber of Commerce; TSC stands by the communities it serves. Not only are we a continuing leader in telecommunications technology, our distinctive claim to fame was the Nickel Payphone. We encourage you to explore our site and learn more about TSC and the products and services we can provide.